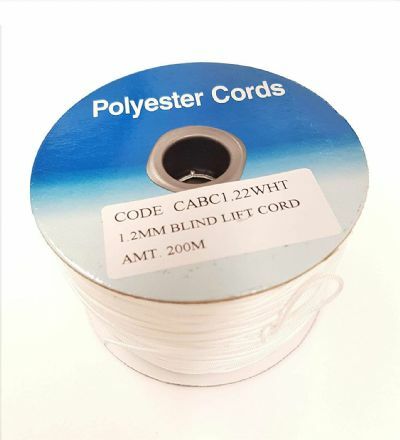 200 metre reel of 1.2 mm polyester cord. This item has a high breaking strain and is used for Roman, Austrian and festoon blinds. This is the optimal diameter cord for blinds. Thicker cords can create more friction where thinner cords can have a cutting effect. Many other uses around the home. © Copyright Select fabric and curtain supplies All rights reserved.